So Namaste! Welcome to the Tania Yogini School of Yoga. We provide a range of services. If you are looking to book a yoga retreat or workshop with us you are already in the right place. Read on for more information about us or click on some of the pages above. To find out more about our meditation and yoga classes on the Costa Blanca please visit our Yoga Altea Website. We run regular group classes at a variety of locations, as well as provide bespoke private classes to further your yogic practice or aid with specific issues such as anxiety, stress or physical injuries. We are also leaders in the new field of Yoga for Dementia. We have run successful trials with a UK based care home and published reports and a brand new book on the subject. You can view a documentary about our work on our Youtube Page. For more information see our Yoga for Dementia page. You can also order our new book Yoga for Dementia: A Guide for People with Dementia, Their Families and Caregivers from Amazon by clicking on the book below. Together James and Tania provide private and group meditation and yoga lessons throughout the Costa Blanca. They teach a wide range of yoga, including Hatha, Slow Flow Vinyasa, Ashtanga, Pregnancy, Post-Natal, and Children’s Yoga and Meditation. James and Tania tailor their classes so they are suitable for clients of all ages and abilities. Please feel free to get in touch to discuss your requirements. You can also see some of our latest videos on our new Youtube Channel to get a feel for our teaching style. I started practicing Iyengar Yoga over 20 years ago whilst studying and found that it had a profound effect on my ability to concentrate. My father passed away during my last year in university and yoga helped me deal with grief. Losing someone so close at a young age taught me the value of living for the moment and following your dreams. 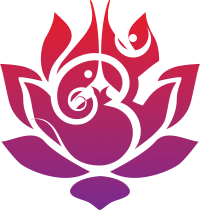 I have continued practicing a variety of styles of yoga including Ashtanga, Vinyasa, Power Yoga, Kundalini, Satyananda and Yin Yoga. After practicing for over 13 years I felt a yearning to share my knowledge and I took a break from work to take an International Yoga Alliance accredited 200 hour course in Bali. This was a transformative journey. I also spent a month doing seva (volunteering) at a Satyananda Yoga Ashram and also undertook a 10 day vipassana (silent meditation) course, thereby deepening my understanding of yogic lifestyles and meditation practices. Since starting teaching I have completed my Birthlight pregnancy yoga teacher training. In 2013 I undertook a 500 hour International Yoga Alliance accredited teacher training with Emil Wendel and Julie Martin in India and I returned again in 2016 to Rishikesh where I taught meditation on a teacher training course. 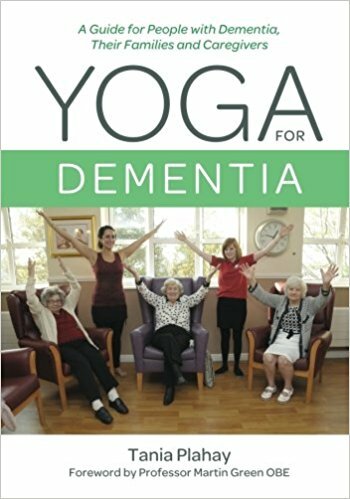 I am very interested in bringing yoga to wider audiences and I have adapted yoga practices for people living with dementia, run a research project on this and just published the first book on this subject. A couple of testimonials from happy clients. See our Testimonials Page for many more. To see all our videos uploaded regularly check out our Youtube tab above or visit our Youtube Channel: Tania Yogini. Sign up for Tania Yogini updates!